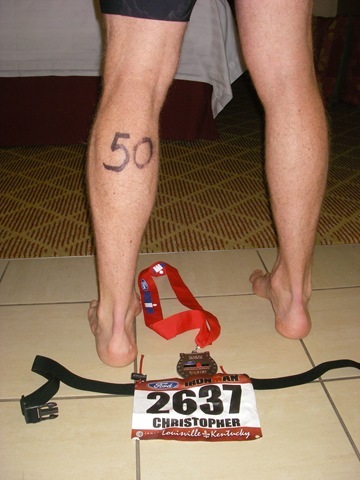 I decided that the best way to celebrate turning 50 on September 3rd would be to do something out of the ordinary—and with Ironman Louisville the weekend before that qualified. I had an excellent race, in spite of the challenges that any IM race presents, with ideal weather conditions. During the race I said to myself that if I don’t set a new personal record for the IM distance I never will, and the stars aligned themselves to give me a 12:18 time—and a well earned finisher’s medal.